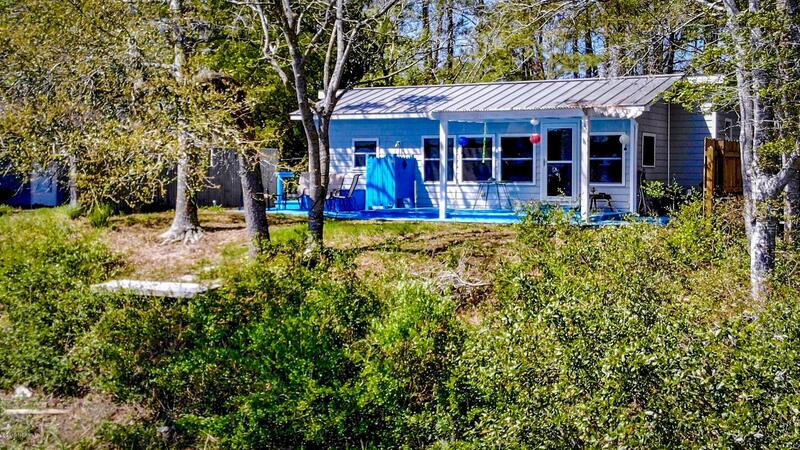 One of the most stunning views Oak Island has to offer, a sweeping half mile panorama of the Elizabeth River and Barbee Bridge, can be viewed from the living area of this intracoastal two-bedroom, one bath cottage with enclosed outdoor shower. The owner describes the surprising range of wildlife to be seen from the back porch including egrets, blue heron, ibis and cranes as fishermen troll the river and kayakers paddle. Nature is literally at the doorstep. This home is being offered fully, turn key, furnished down to the flatware, including all the local artwork and the custom ash entertainment center bookcase, with few exceptions. This amazing value also includes a new roof in 2013 and new HVAC in 2017, sized to accommodate a planned three season porch addition.